This 3-day course will be held at Capital Wine School from February 8 – February 10, 2019. Class will meet on Friday and Saturday from 9:00 a.m. until 4:00 p.m. On Sunday, class will meet from 9:00 a.m. until 3:00 p.m., and the exam will be held from 3:00 to 4:00 p.m. The aim of the course is to focus on the key grape varieties and regions of the world, as well as principal varieties of spirits. While the course provides an overview of the wines and spirits of the world, including main wine grapes and regions, it also covers factors affecting wine quality and style, grape growing, and basic winemaking practices. The course emphasizes tasting assessment and the skills required to describe the aromas and tastes of wine. It helps to develop fundamental tasting and assessment skills. Each day, students will taste approximately 14 wines. The exam takes 1 hour and consists of 50 multiple choice questions. Those who pass the exam receive the WSET Level 2 Award in Wines and Spirits, an internationally recognized credential in the wine industry. 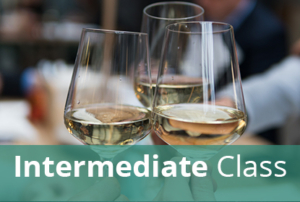 The course fee includes the classes at Capital Wine School; the WSET course book, study guide, and guide to the systematic approach to tasting wine; tasting of approximately 40 different wines; and the exam at Capital Wine School. Students who register and pay for this intensive on or before January 23 will receive their materials in advance of the course start date and will take the examination on February 10 at the end of the course. Students who register and pay for this intensive after January 23 will receive their materials at the first class on February 8 and will take the examination on March 14 at 4:00pm. Please note that there are no refunds or rescheduling after January 23, and that any student who cancels after receiving their study materials will be responsible for returning the study materials in new condition to the school before a refund will be issued.